Due to the Iraq experience there has been a bit of a re-think about the 5.56mm x 45mm NATO round - due to it's apparent lack of penetration and stopping power. The vogue is now for large calibres again (du-oh!) - and while the initial stop-gap was the trusty 7.62mm (with many US troops preferring to use modernized and tactical modded M14s) - there have been two new calibres developed which are said to be better - balistically - than the old 7.62mm x 51mm NATO round. These are the 6.8mm Remington and the 6.5mm Grendal. Both of the calibres have been accompanied by 'new' versions of the M16/M4 design. The 6.5 Grendal, in fact, being a direct conversion of existing M16/M4 stock, with new receiver and top deck. The 8.6mm calibre is being championed by the famous Barrett company. I would like to see these included in a new gun mod as they reflect up-to-date thinking about military rifles - superceeding even the G36/SCAR rifles that are the vogue in mods. The DSA SA58 is a conversion of the trusty FN FAL rifle. 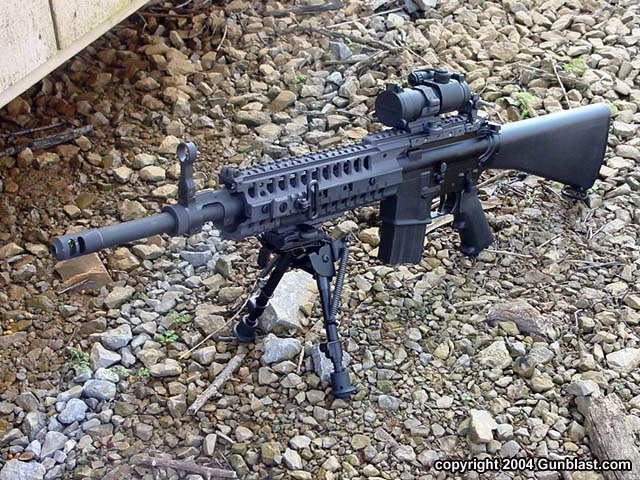 In particular the PARA, folding stock model, with added RIS and SureFire forward grip/torch. I'm not sure is ANYONE is modeling classic GhR weapons anymore, but these would be terrific I think. Over at ghostrecon.net, they are a few that still model weapons.